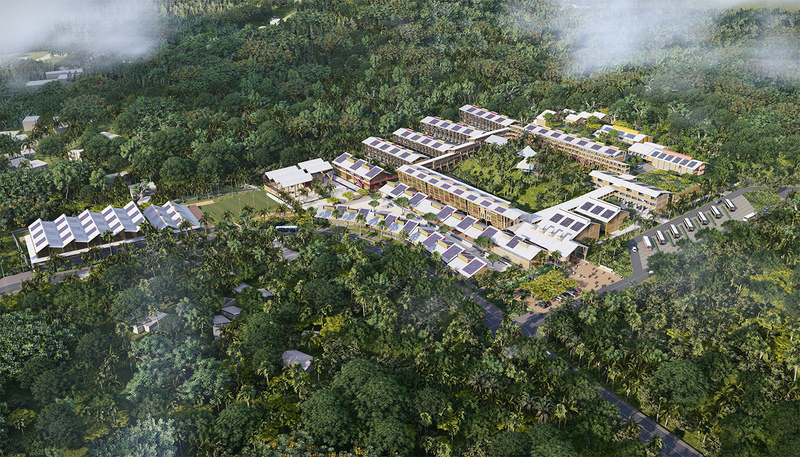 Encore Heureux and Co-Architectes are laureates of the competition for the construction of a vocational high school in building trades in Longoni, on the French island of Mayotte. It will host 2 000 students on 30 000 m². Among the major ecological ambitions of the project is the aim to redevelop the local fabrication and trade of bricks made of compact earth. Delivery set for 2022. 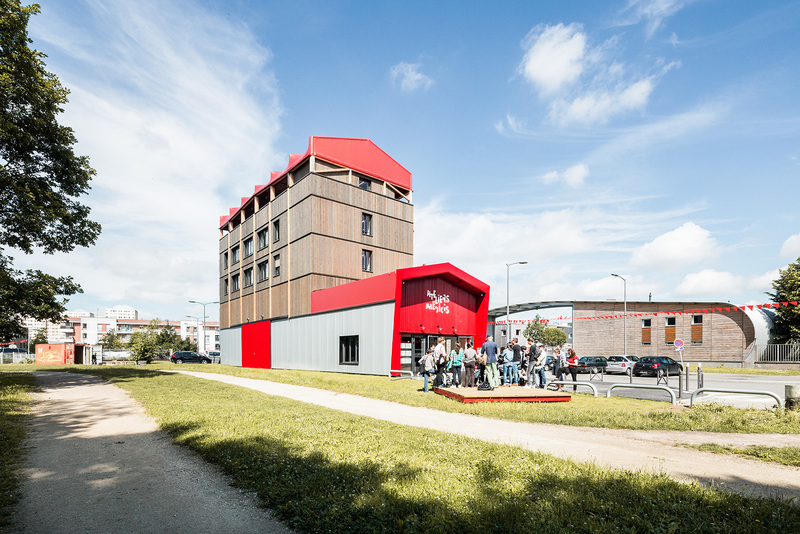 After 4 months of studies and 8 months of construction the ephemeral cultural venue we built on the cities of Clichy-sous-Bois and Montfermeil, Les Ateliers Médicis, has been delivered. The dedicated website. The exhibition Lieux infinis conceived by Encore Heureux for the French Pavilion of the 16th International Architecture Exhibition of the Venice Biennale is officialy open to the public. It will be on view until November 25, 2018. 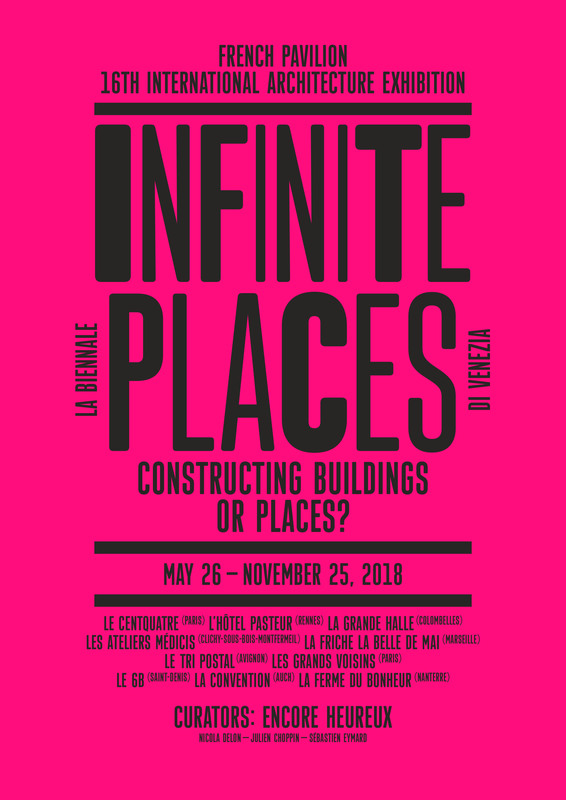 D-30 for the project “Infinite Places” conceived by Encore Heureux for the French Pavilion of the 16th International Architecture Exhibition of the Venice Biennale. Opening on May 26. Construction works for La Grande Halle have begun in Colombelles. 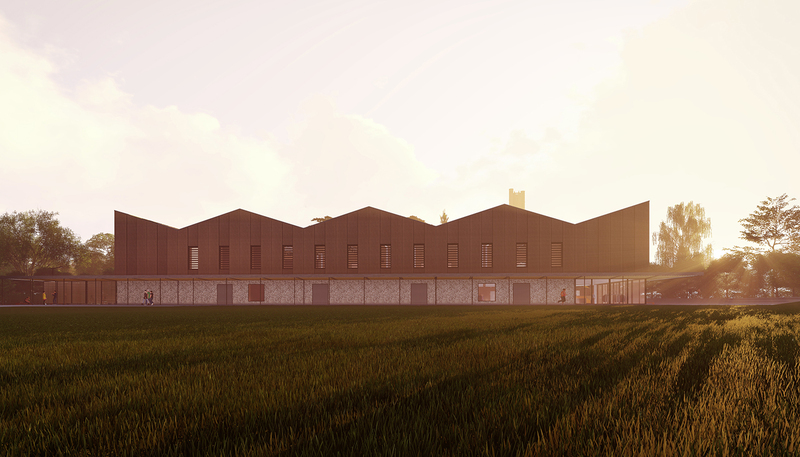 Set to open in Spring 2019 it will host a third place dedicated to the circular economy. The construction work for the Salle des Fêtes Encore Heureux designed in collaboration with PPA Architecture, have begun in Albi. Delivery set for the summer 2018. 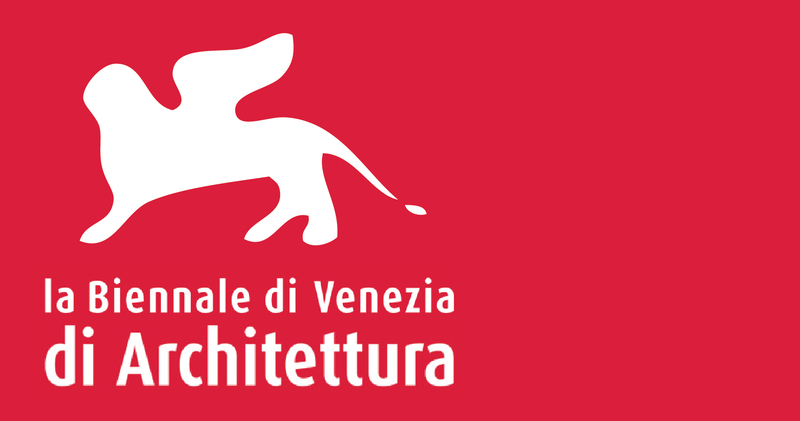 “Infinite Spaces”, the proposal submitted by Encore Heureux has been selected to represent the French pavillon during the 16th Internationale Biennale of Architecture in Venice. The project brings together spaces that manage to welcome the unexpected, to offer free spaces, to integrate un-programed uses and allow for popular appropriation thanks to a collective energy and common desires. 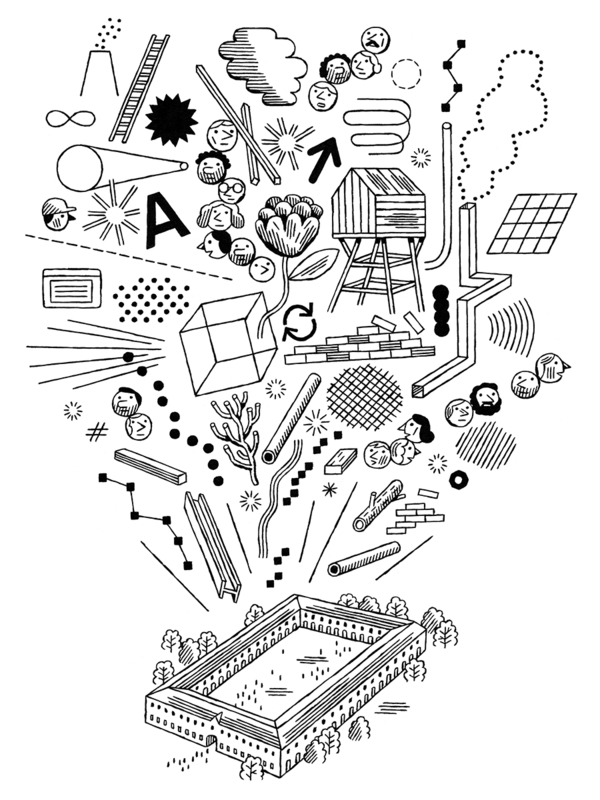 “On a beach of Berck-sur-Mer, Patrick Bouchain agreed to an ABD Primer. Twenty six lettres for twenty six words articulating concepts, anecdotes and memories… “. 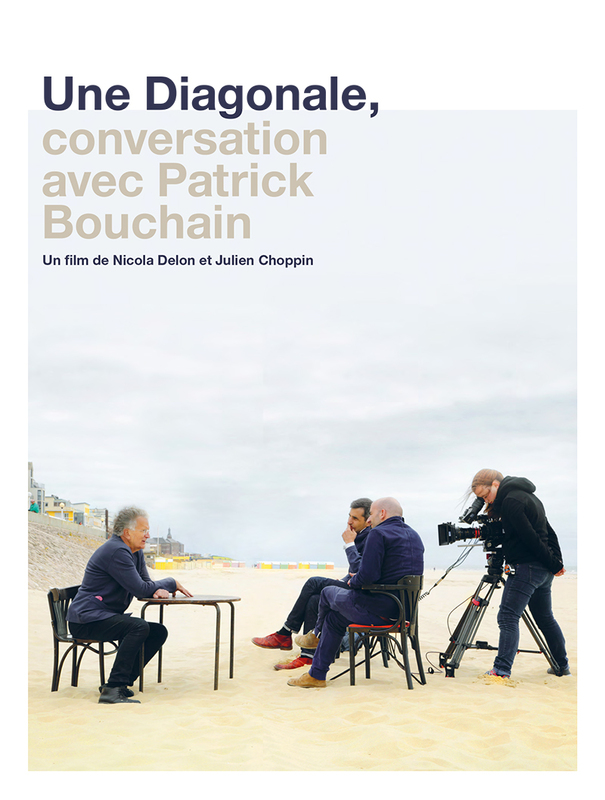 Une diagonale – conversation avec Patrick Bouchain is a documentary film by Nicola Delon and Julien Choppin on and with the architect of the “High Human Quality”. The DVD will be on sale on October 17, 2017 with Météore Films. It will premiere at the Biennale d’Architecture d’Orléans – Frac Centre-Val de Loire from October, 13 2017 on. 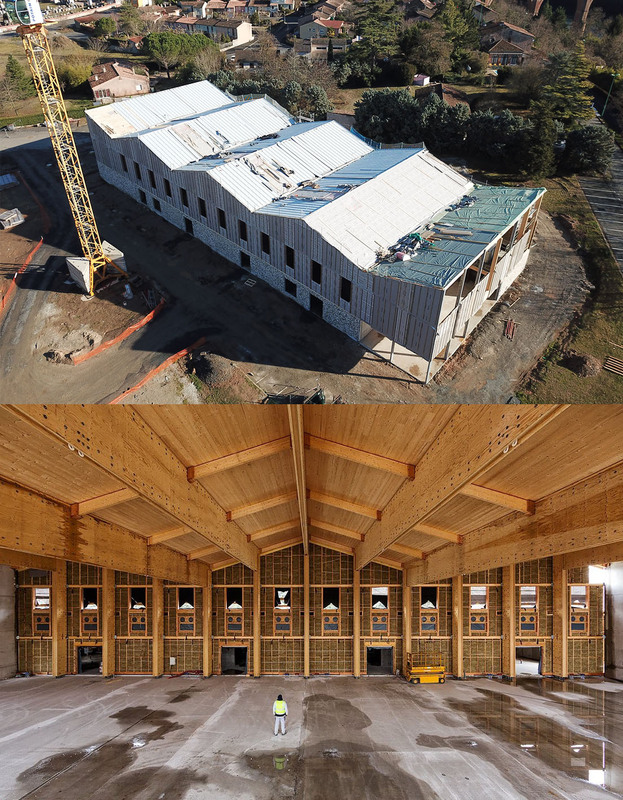 Encore Heureux and PPA Architecture are laureates of the competition for the construction of a cultural venue for the City of Albi. Delivery set for the summer 2018. Encore Heureux was the art director and scenograph of the exhibition “Lives of Garbage: the economy of wastes” that opened on March 21, 2017. 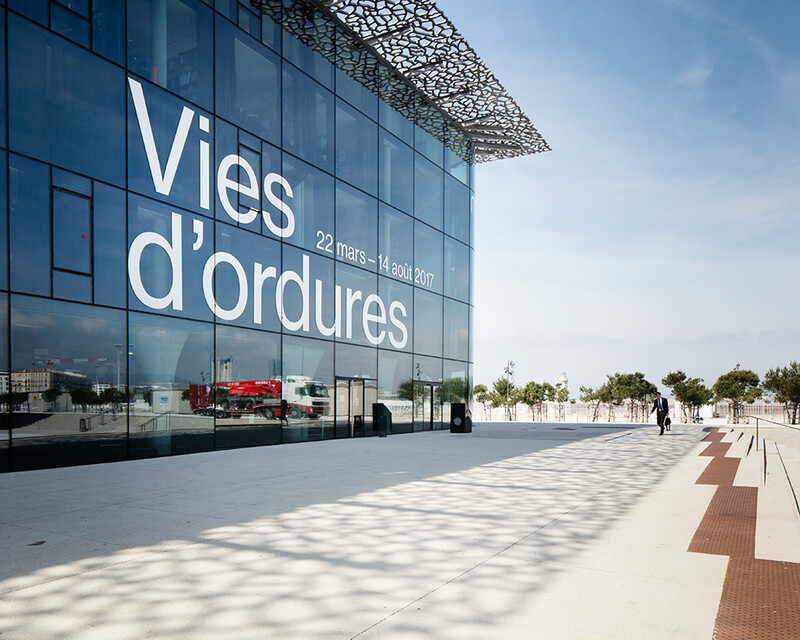 It will be on view until August 14, 2017 at the MuCEM in Marseille. The project Passage Miroir will be inaugurated on Thursday the 23rd of March at 4.30pm, Porte de Montmartre in Paris 18th. 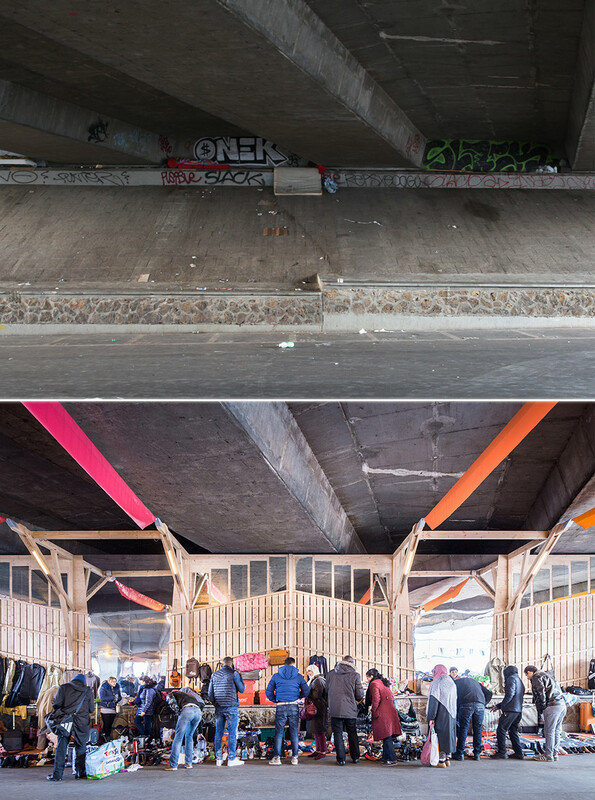 This urban installation around the “marché des biffins”, was developed within the frame of the participative budget of the City of Paris and the program “Reconquête Urbaine” with: < pOlau > pôle des arts urbains, La Fabrique des Impossibles, Les Grandes Personnes, Paris City Hall, the City Hall of the 18th arrondissement and the Métropole Du Grand Paris. 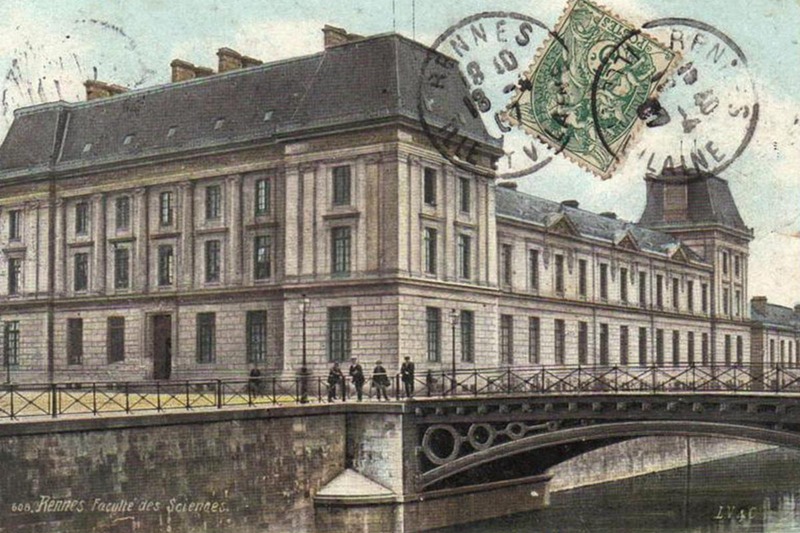 Encore Heureux has been chosen to rehabilitated the Pasteur building in Rennes. 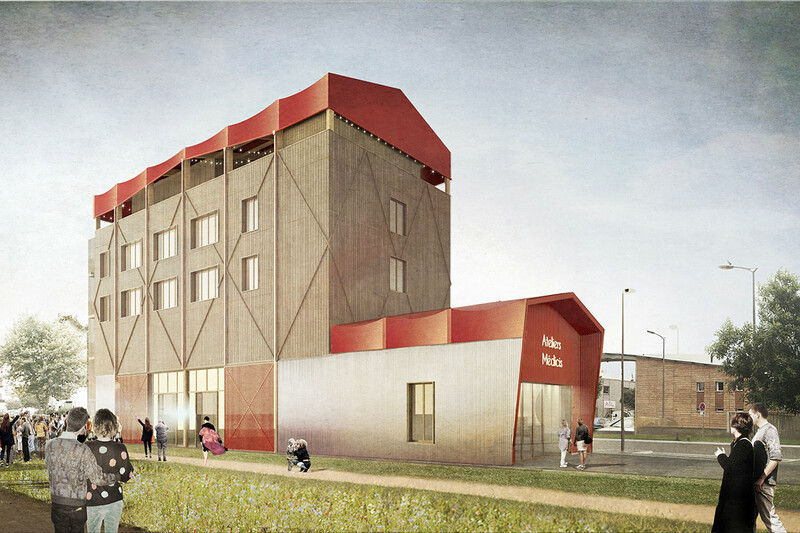 The old Faculty of Science will host in 2019 an elementary school as well as a Centre info-école in addition to the already existing Hôtel Pasteur. 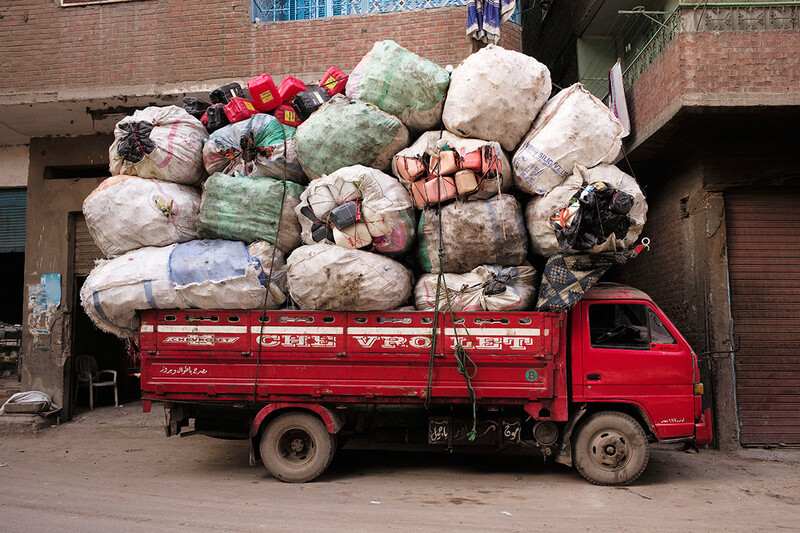 From March, 22 until August 14, 2017 at the MuCEM the exhibition “Lives of Garbage: The Economy of Waste” will take place, exploring the economy of waste around the Mediterranean shores. Encore Heureux did the artistic direction as well as the scenography in collaboration with Urbain trop Urbain and BK Club architecte. 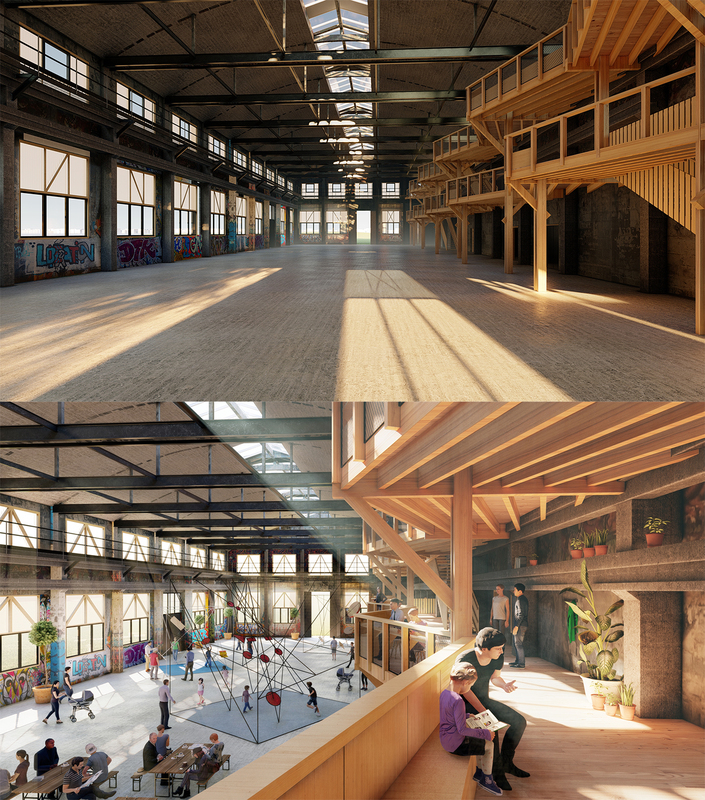 Encore Heureux and Cruard Charpente are laureates of the competition for the Ateliers Médicis, an ephemeral cultural venue in Clichy-sous-Bois / Montfermeil. Delivery date set for the beginning of 2018. Encore Heureux forged a new partnership with the Centquatre-Paris and is now installed within the 104 factory. Julien Choppin and Nicola Delon have been joined by Sébastien Eymard, previously partner of the Construire practice, as a third associate. 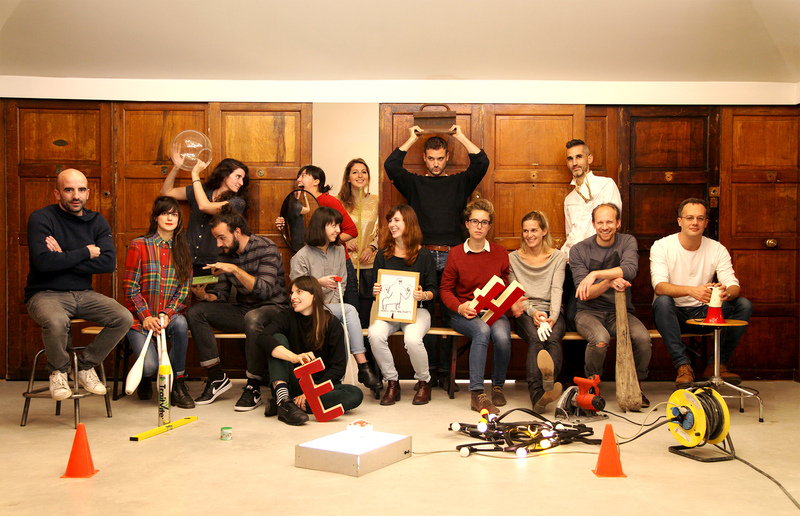 The team keeps growing with seven new recruits in 2016: Hélène Bucher, Justine Braun, Léa Hobson, Romain Leal, Luc Lecorvaisier, Kasia Lesniewska and Clément Gy. 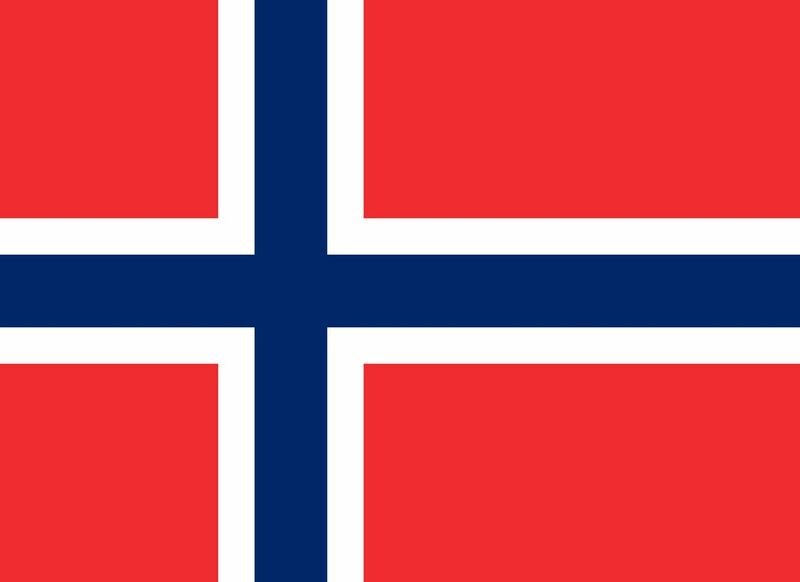 Invited by the Oslo Architects Association Nicola Delon will give a public lecture at the Oslo Architecture Triennale on November, 24 2016. 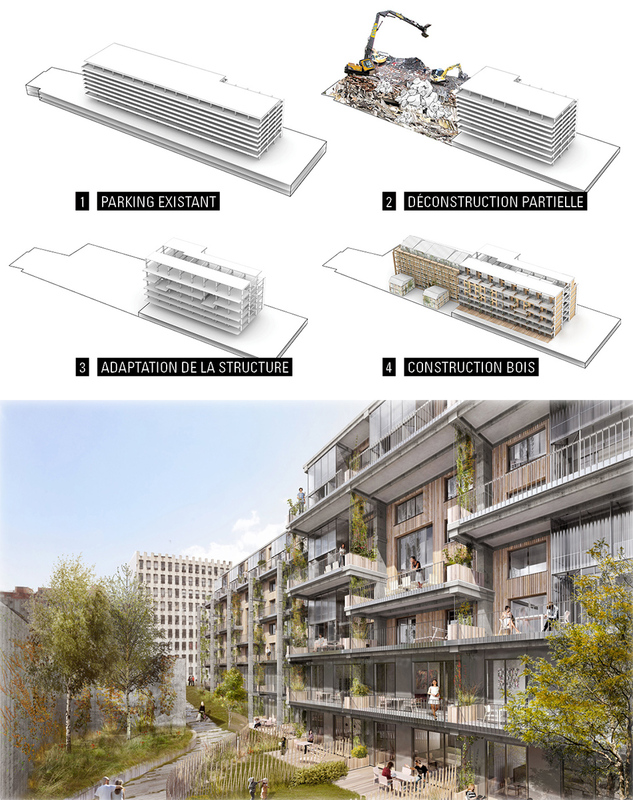 By making the choice to keep most of the structure of an existing parking, Encore Heureux, and Archi5, won the competition to build a 150 housing project in Paris 19th arrondissement. 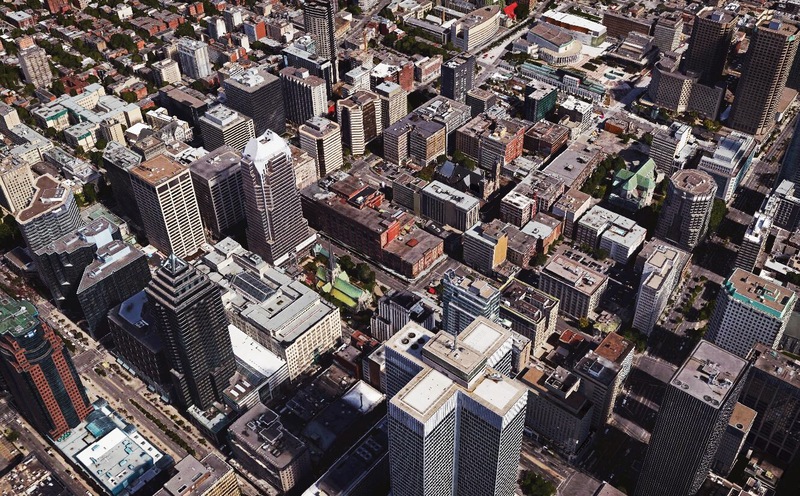 Encore Heureux in association with L.Mccomber, Atelier Chinotto and HUB Studio was shortlisted among the 5 finalists of the urban design competition organized by Design Montréal: «Vivre le chantier Sainte-Catherine» in Montreal. 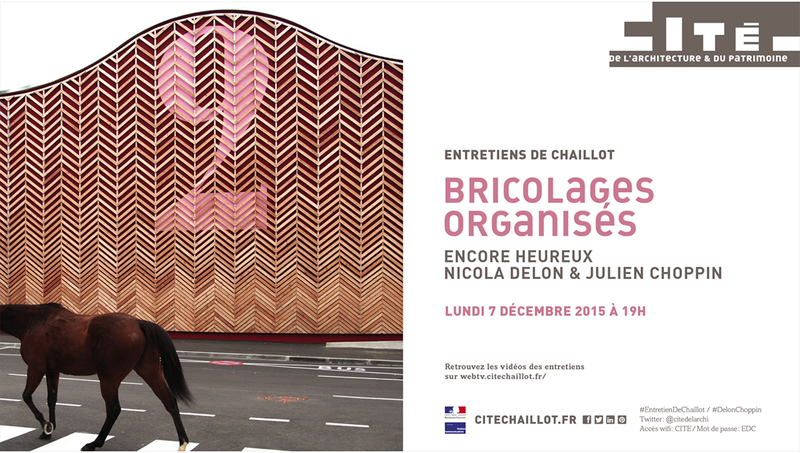 Nicola Delon​ and Julien Choppin lecture “Entretiens de Chaillot” at the Cité de l’Architecture et du Patrimoine​ in Paris is now online. NICE : Forum d’Urbanisme et d’Architecture de la Ville de Nice. January 20, 6.30 pm. LAUSANNE : F’AR, Forum d’Architectures Lausanne. February 1, 6.30 pm. LYON : URBS#8, Le Sucre. February 9, 6.30 pm. ROUEN : ENSA Normandie. February 29. IVRY: Centre Jeanne Hachette in Ivry. March 17, 7 pm.. PARIS: Ecole Nationale Supérieur d’Architecture, Paris-Malaquais. April 7, 6 pm. LAUSANNE : Ecole Polytechnique Fédérale of Lausanne, April 11, 4.30 pm. NANCY: Ecole Nationale d’Architecture, Nancy. April 18, 6 pm. LILLE: Maison de l’Architecture et de la Ville Nord-Pas de Calais. May 10, 6.30pm. 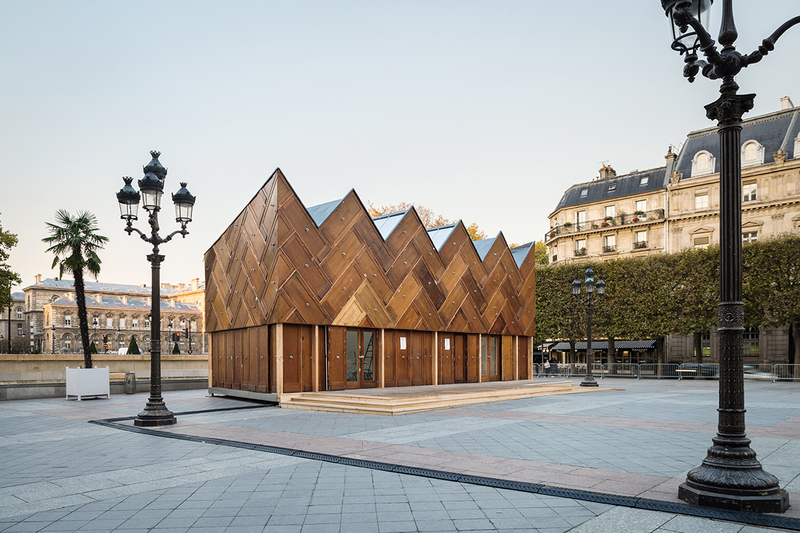 The Circular Pavilion opens its doors on Saturday October 24, from 10.00 am on on the Parvis de l’Hôtel de Ville, 75004 Paris. 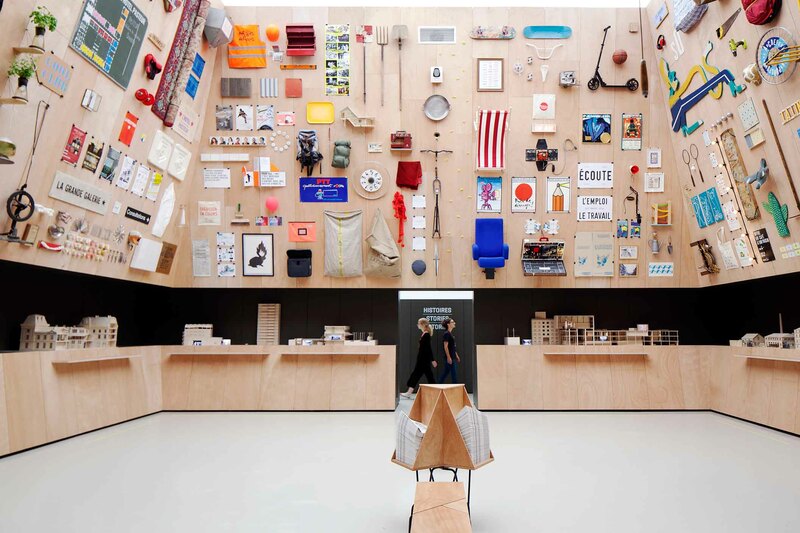 The pavilion, inspired from the exhibition Matière Grise as well as the principles of the circular economy will welcome until mid-2016 a coffee, shows, lectures and workshops. Click here to learn more. PRISTINA (KOSOVO) : Ecoweek. September 29, at 6pm. MARSEILLE : Architect@Work. October 14, at 1.30pm. LIÈGE : Cité Miroir for Reciprocity Design. October 20, at 5.00pm. GRENOBLE : ENEPS-IUT 1 of the Joseph Fournier University. November 14, at 2.00pm. PARIS : Library of the Cité de l’Architecture et du Patrimoine. December 3, at 7.00pm. TOULOUSE : Centre Méridional de l’Architecture et de la Ville. November 30, at 7pm. PARIS : Encore Heureux is invited to the Cité de l’Architecture et du Patrimoine. December 7, at 7.00pm. ENCORE HEUREUX is taking part to the activities surrounding the opening of the exhibition Grey Matter at Accra, Ghana,on Thursday, June 25 at 6.30pm.